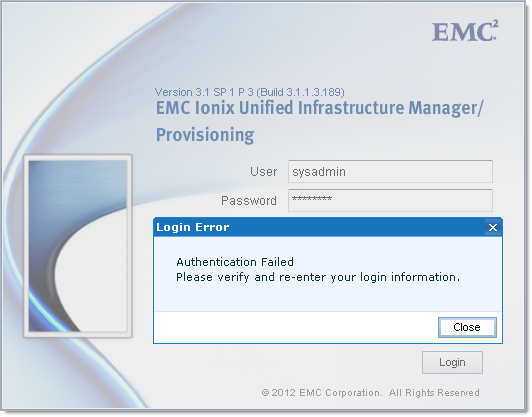 By default, the password for EMC UIM/P sysadmin account is ‘sysadmin‘. The 'sysadmin' account has been reset. Sysadmin password will be reset to ‘sysadmin‘. Power UIM/P VA back on. Thank you, needed this today! Pleasure! Glad to have been of help.